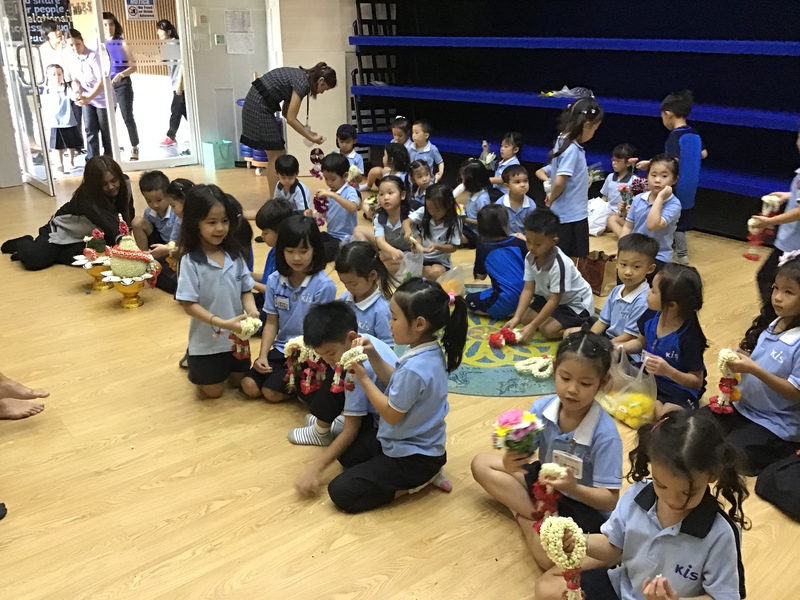 The Primary School After School Programme Term 2-3 runs from Monday 21st January to Friday 24th May, 2019. 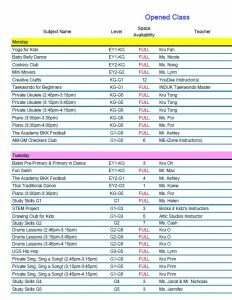 There are still some spaces available if you wish to sign your child up. 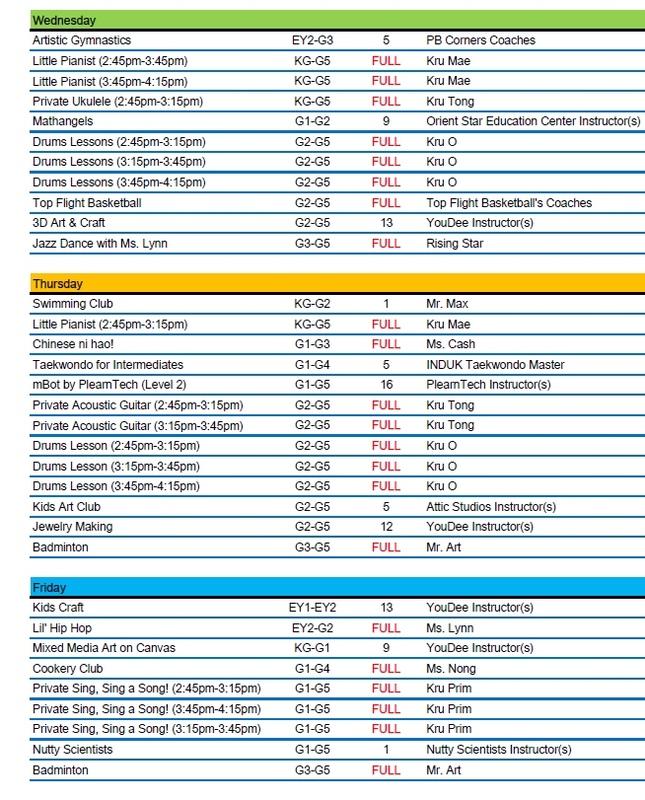 Availability is on a first-come basis. 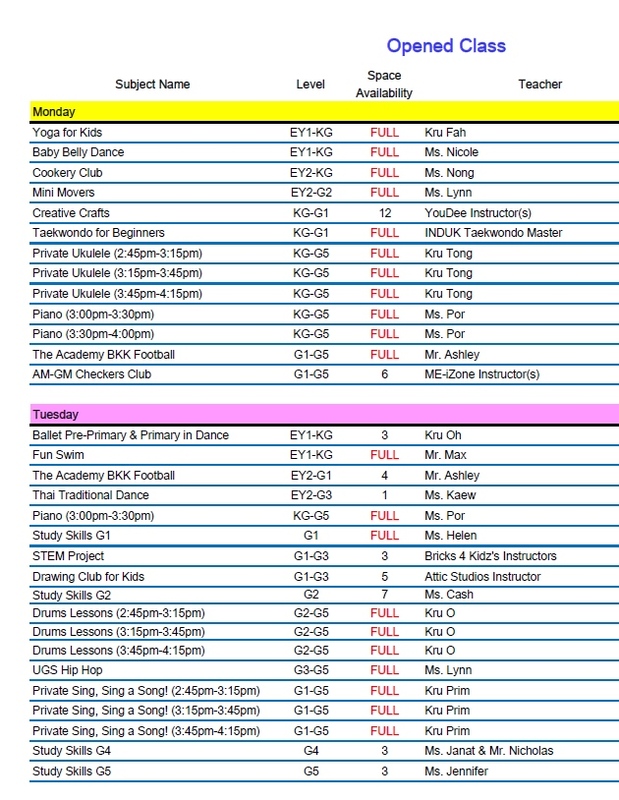 Please click on the images below to view the current availability. 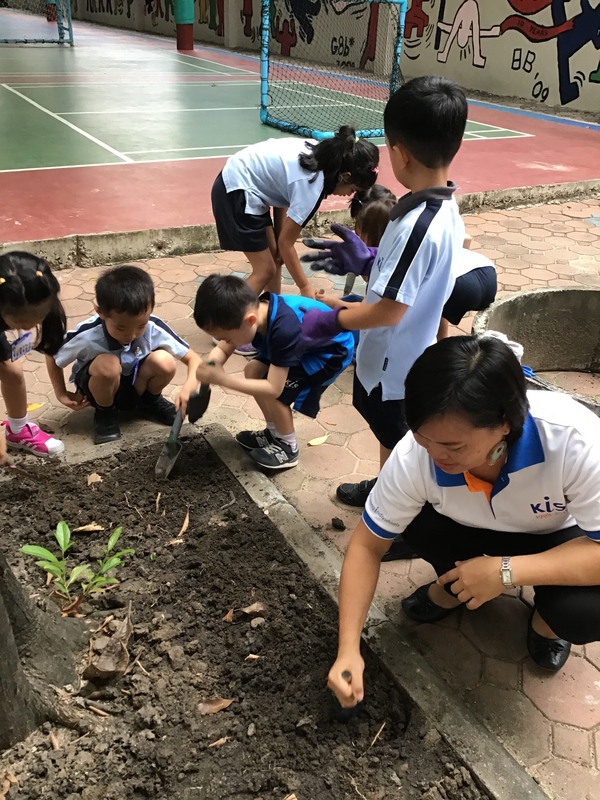 If you wish for your child to join any of the activities, please send an email to kis_asp@kis.ac.th with your request. 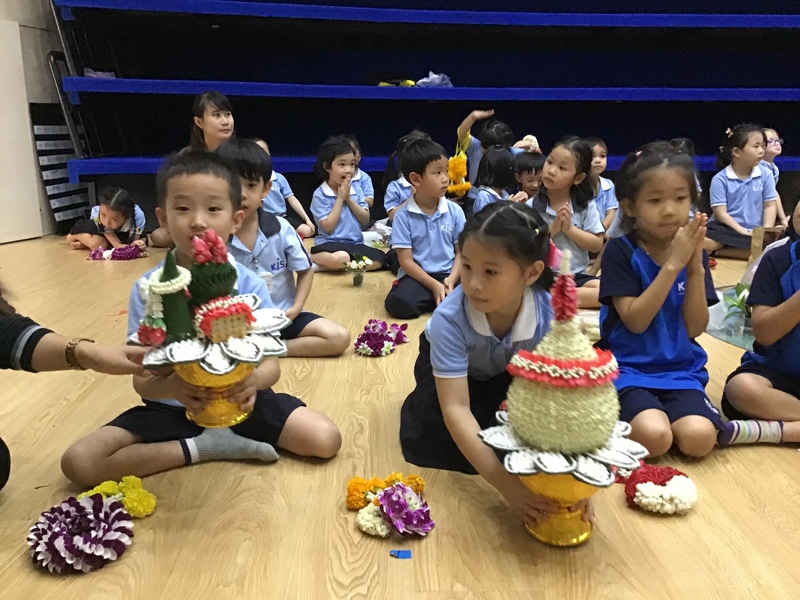 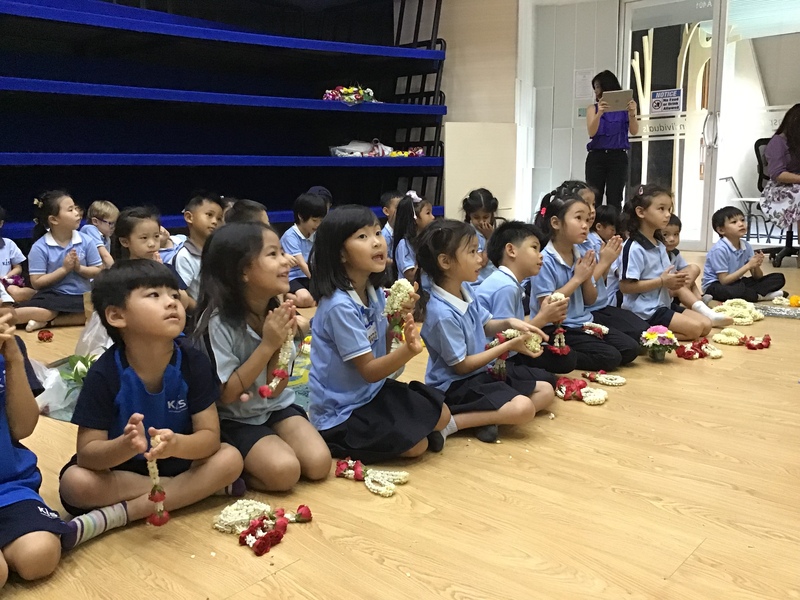 Last Wednesday, students participated in the Wai Kru ceremony. 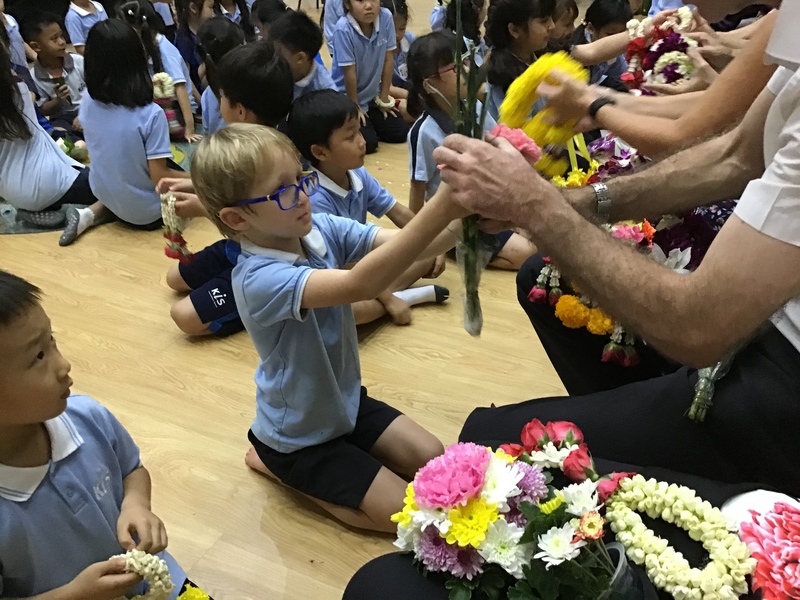 It was great to be a part of such a special cultural ‘celebration’ with the students. 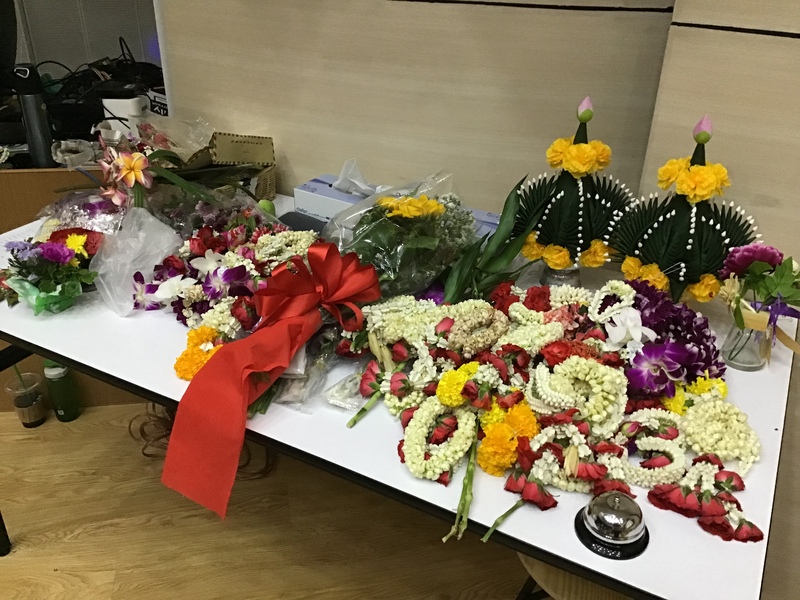 Thank you so much, parents and students, for the abundant floral gifts. 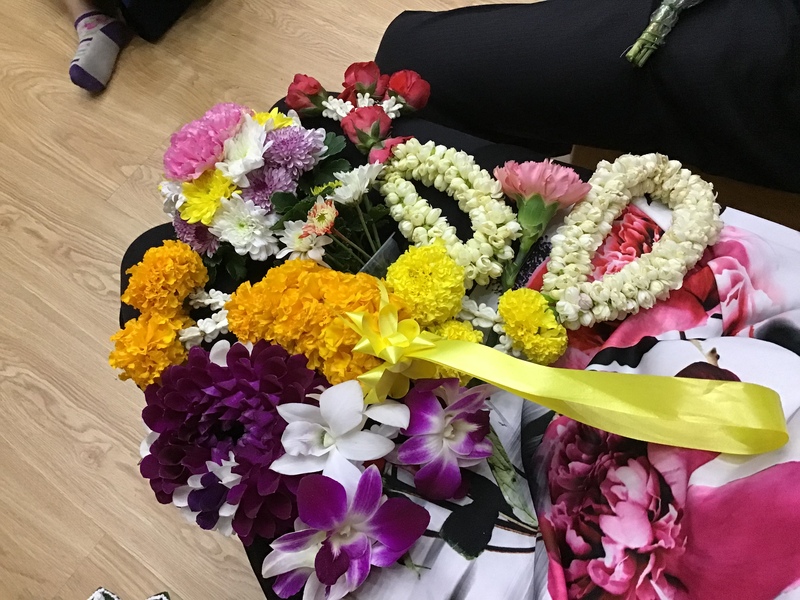 Your appreciation is very much appreciated. 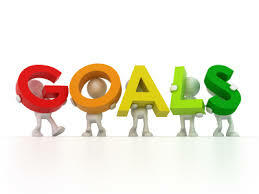 Tomorrow morning (Tue. 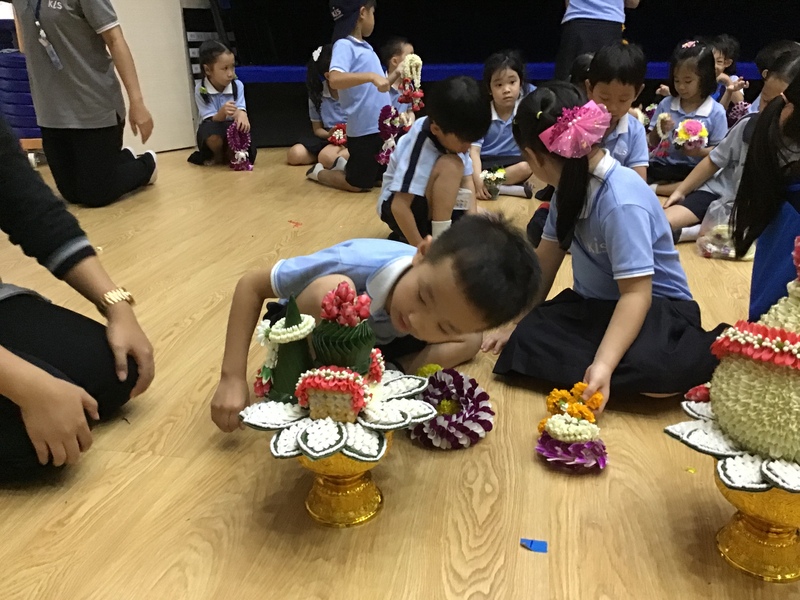 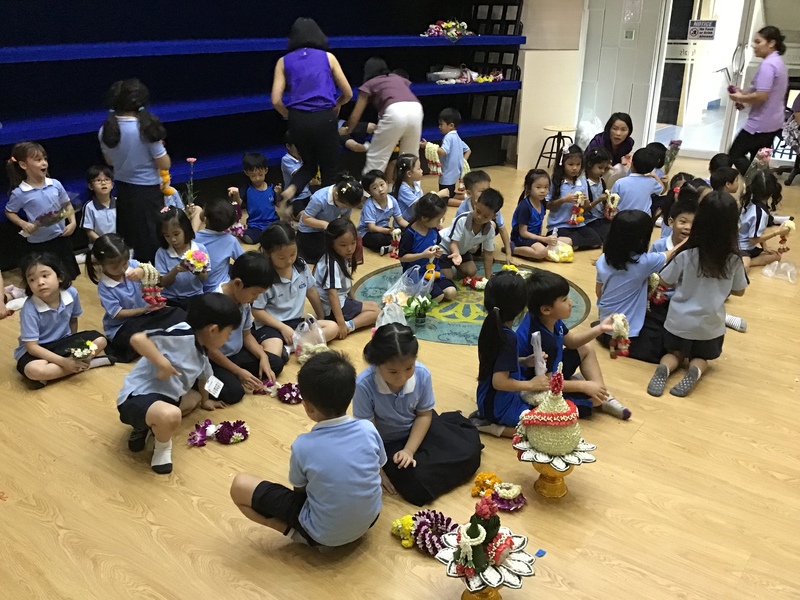 22nd Jan.), KG parents will be hosting our Cultural Showcase in the KG classroom from 8:00am – 9:30am. 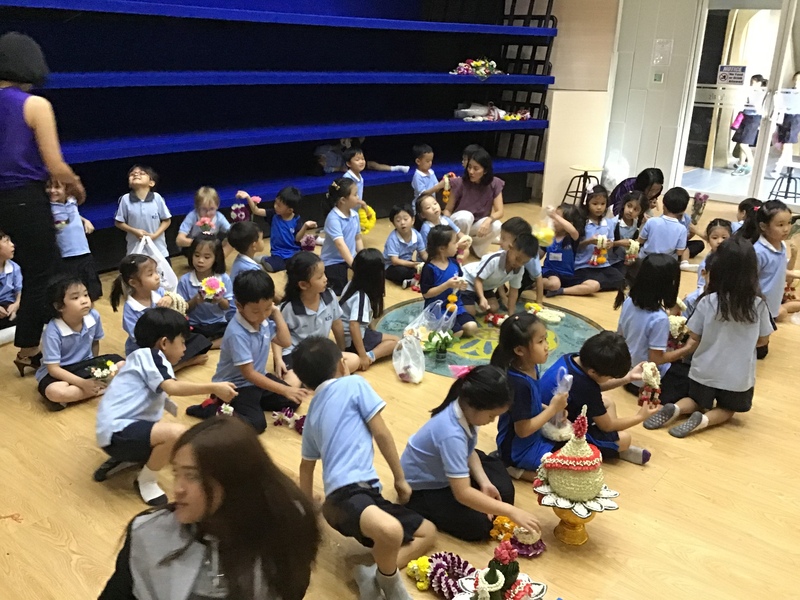 We look forward to seeing our many nationalities represented and learning about each other’s cultures. 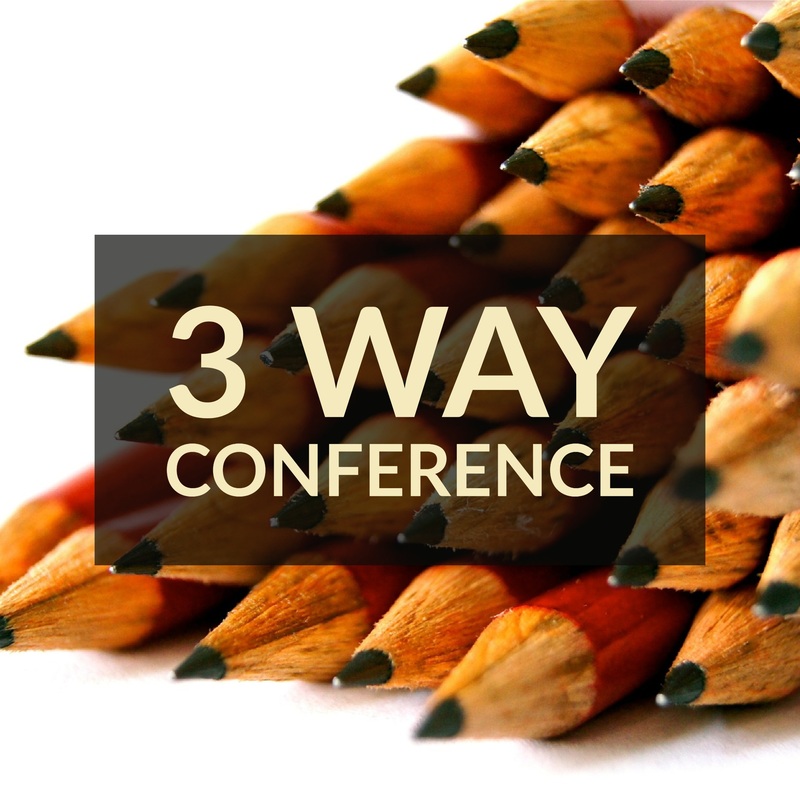 In 2 weeks’ time, PYP students and parents will be participating in 3-way conferences with homeroom teachers. 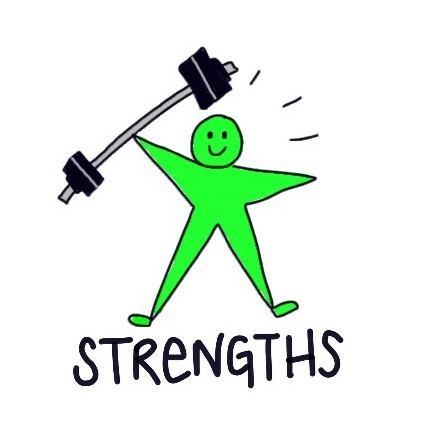 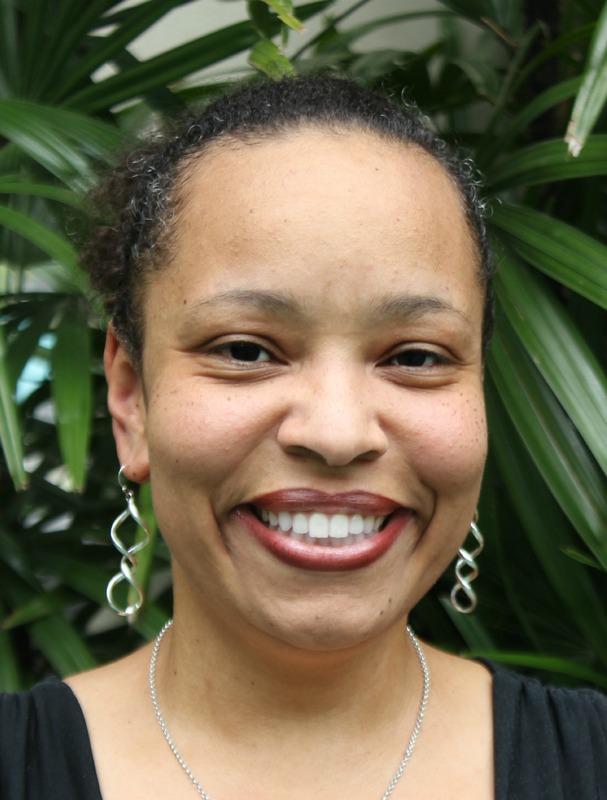 This is a time for teacher, parents, and students to reflect on their learning thus far as well as share their strengths and goals. 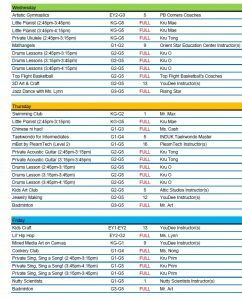 Details will be coming soon regarding when sign-up sheets will be posted and which days each teacher will be available for conferences. 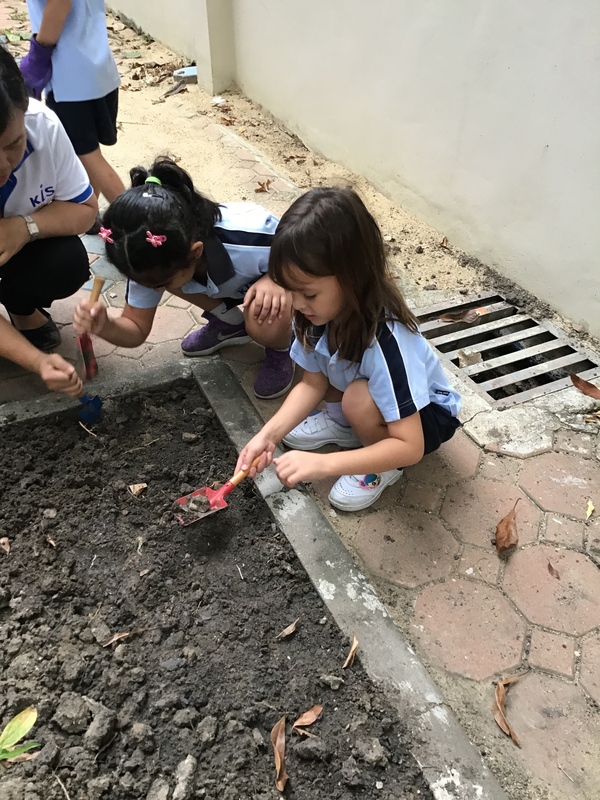 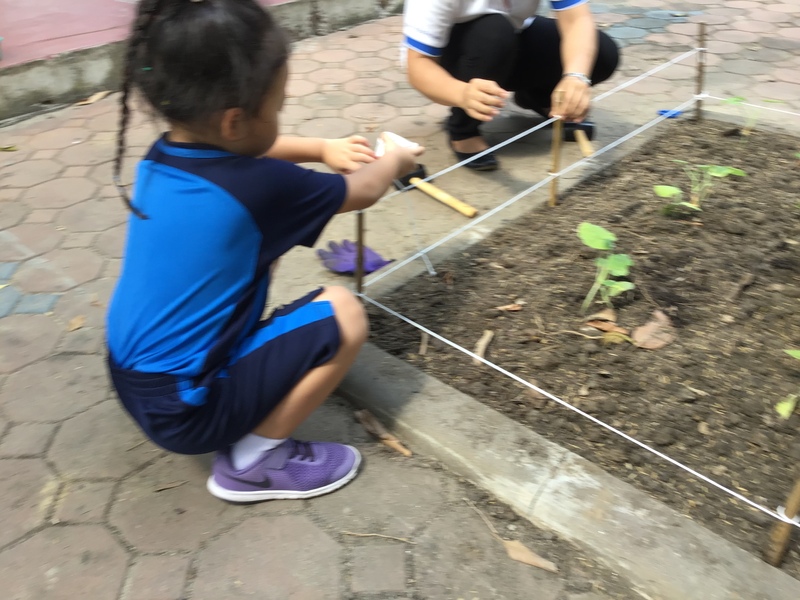 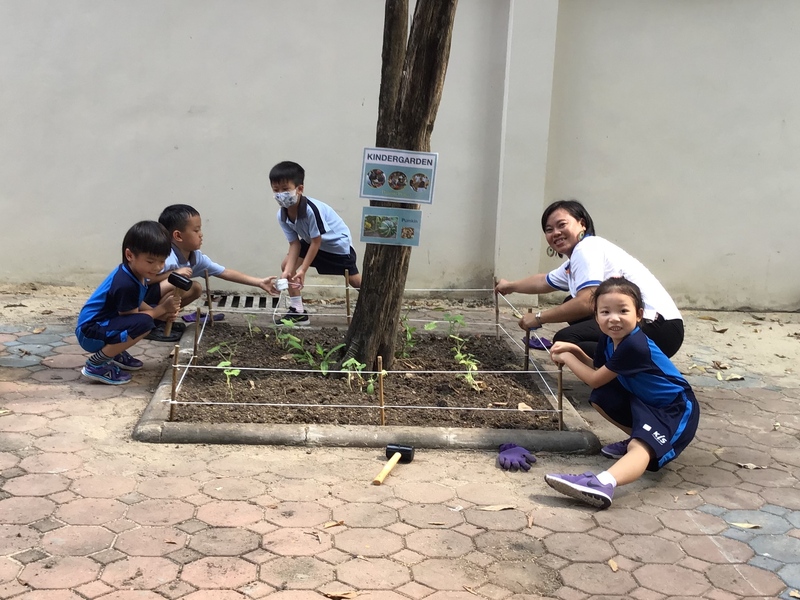 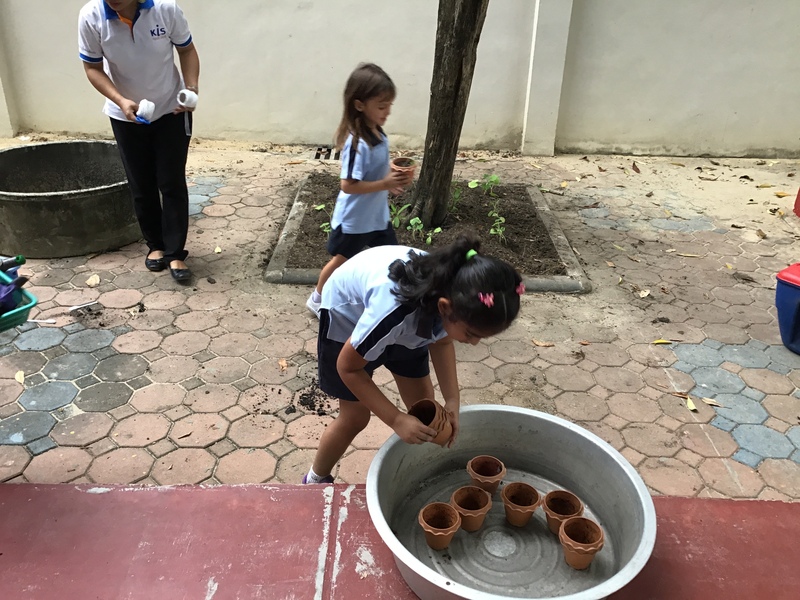 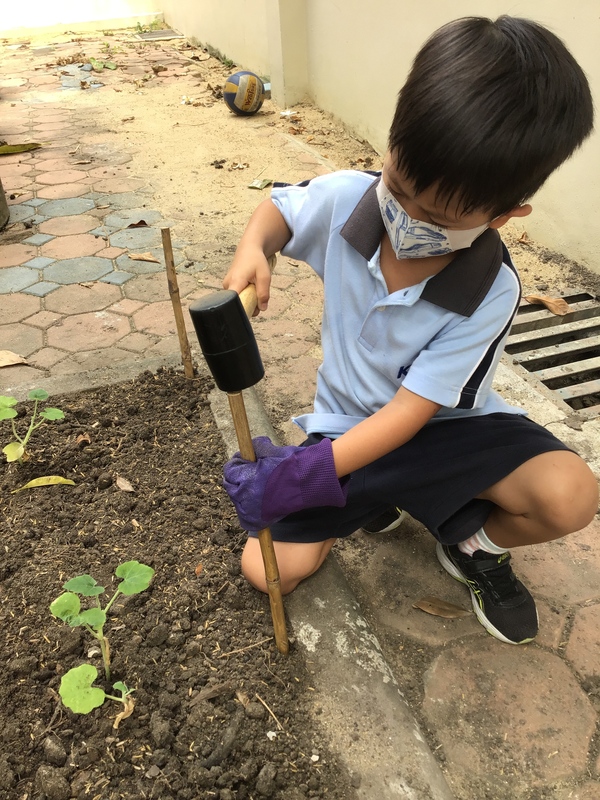 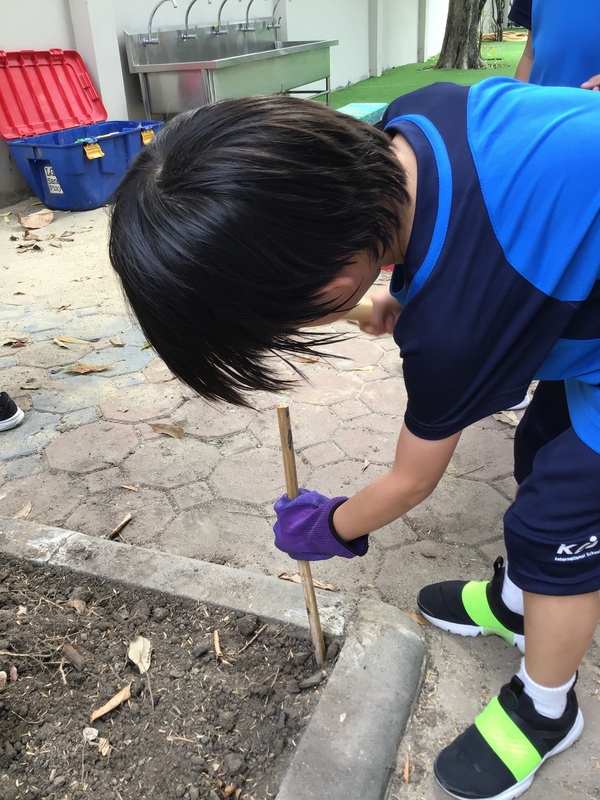 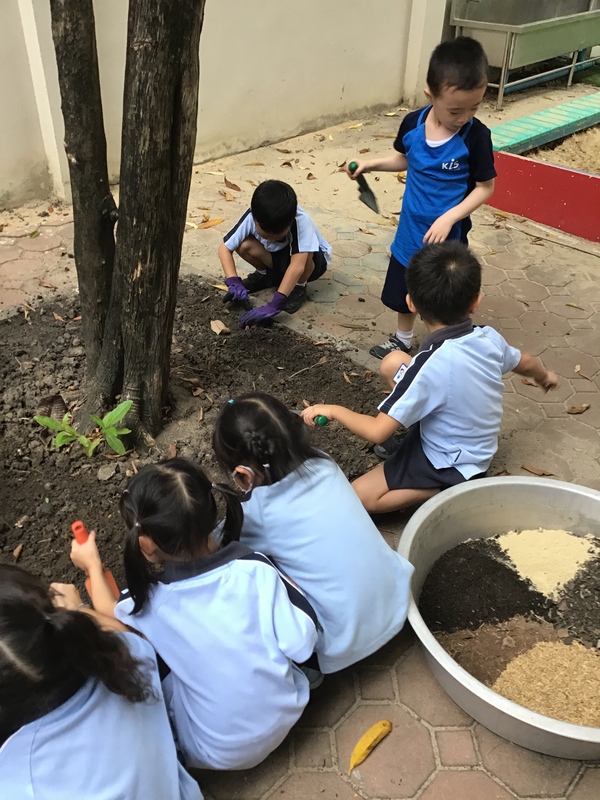 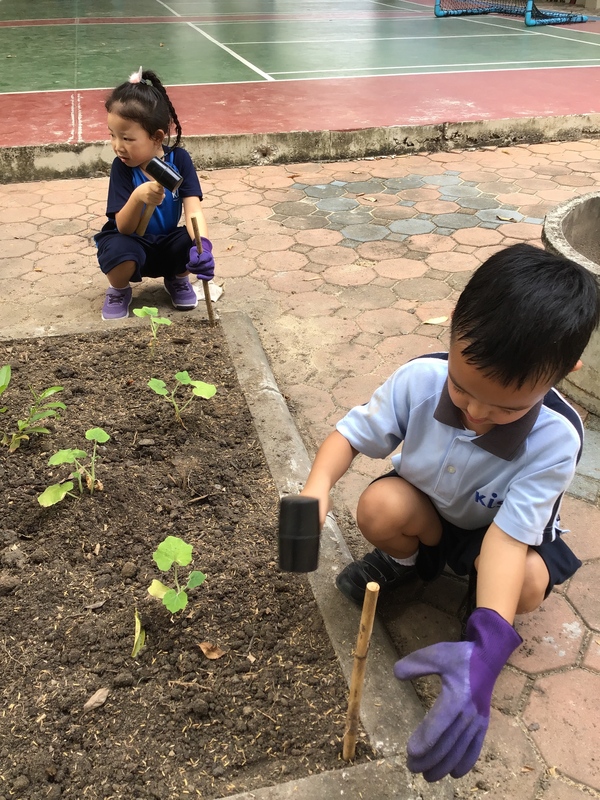 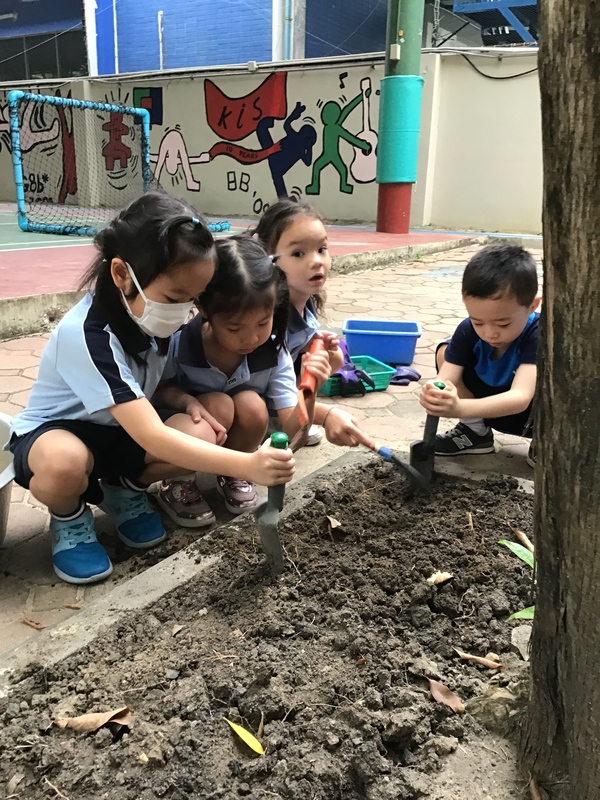 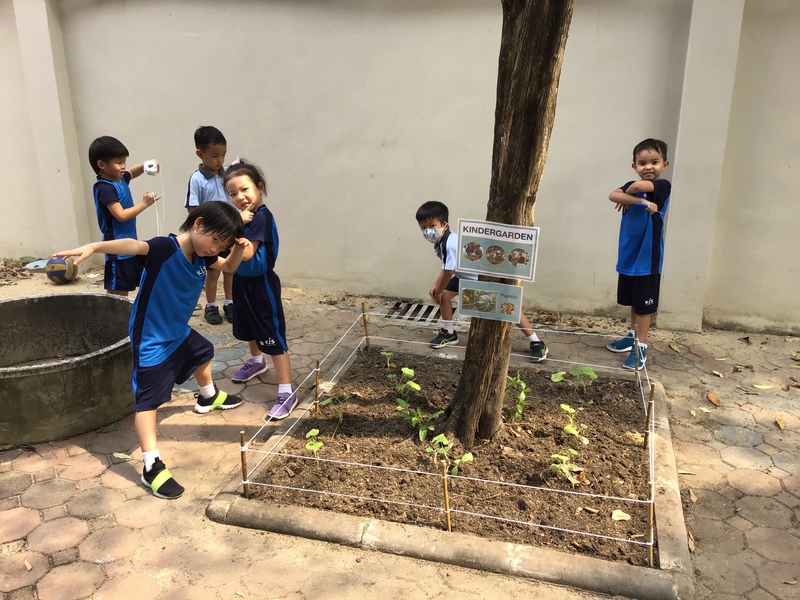 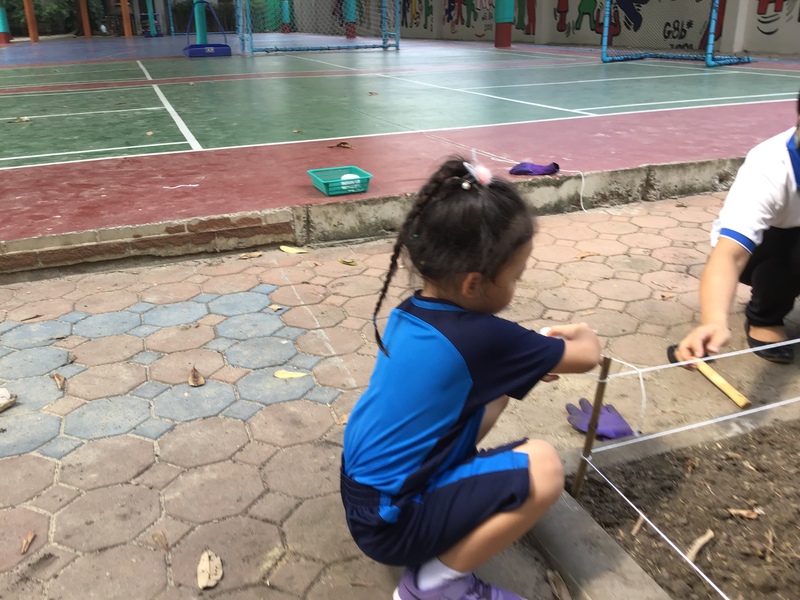 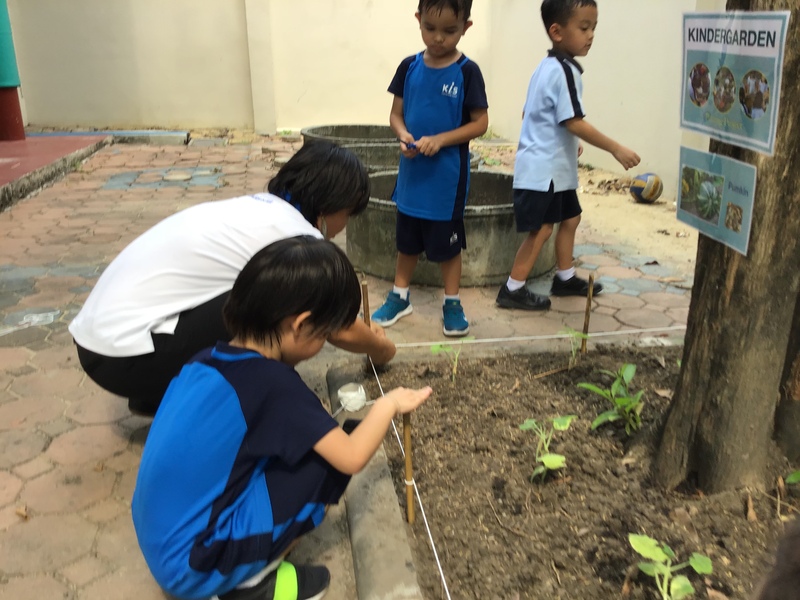 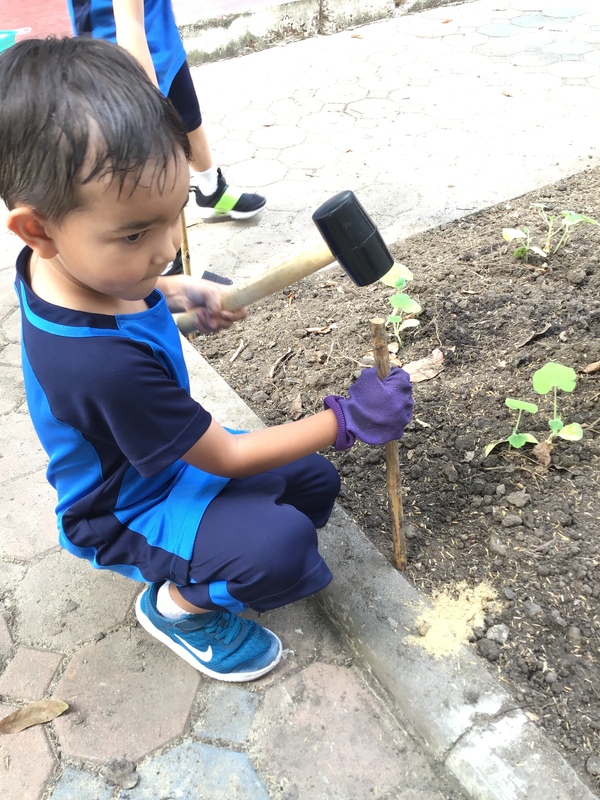 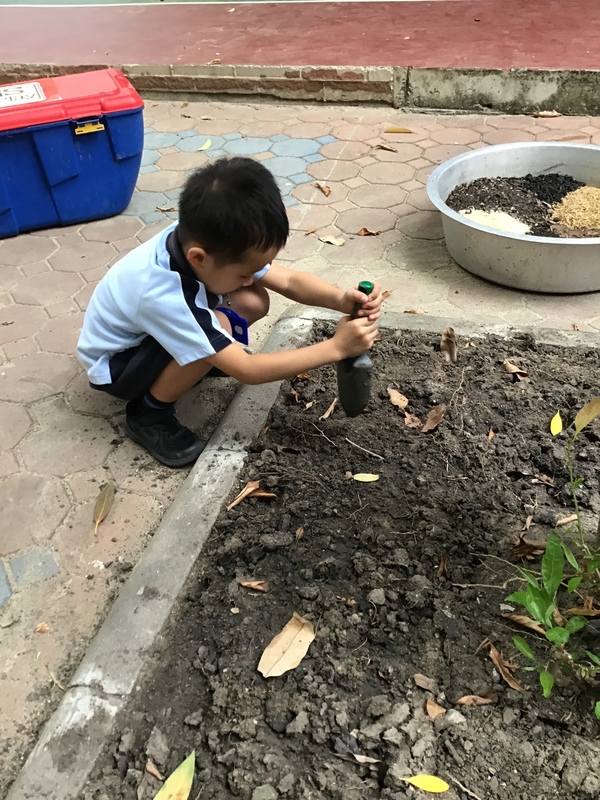 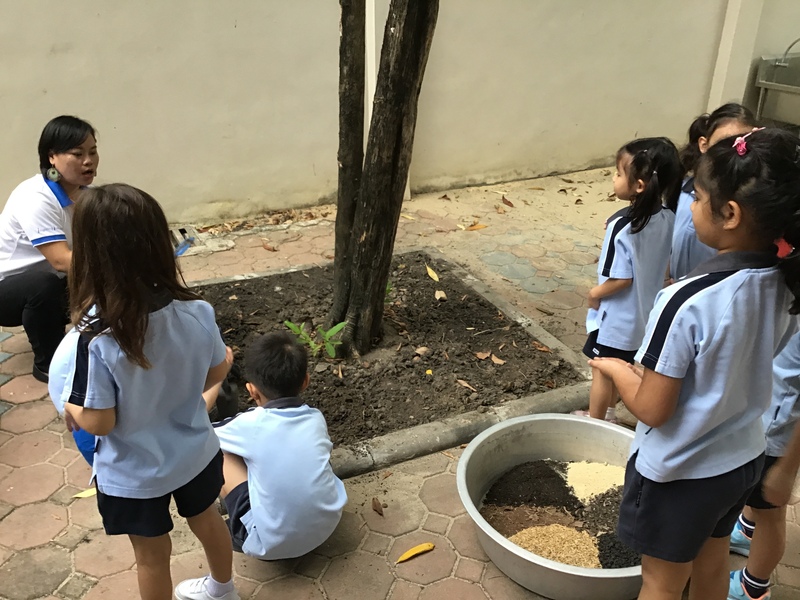 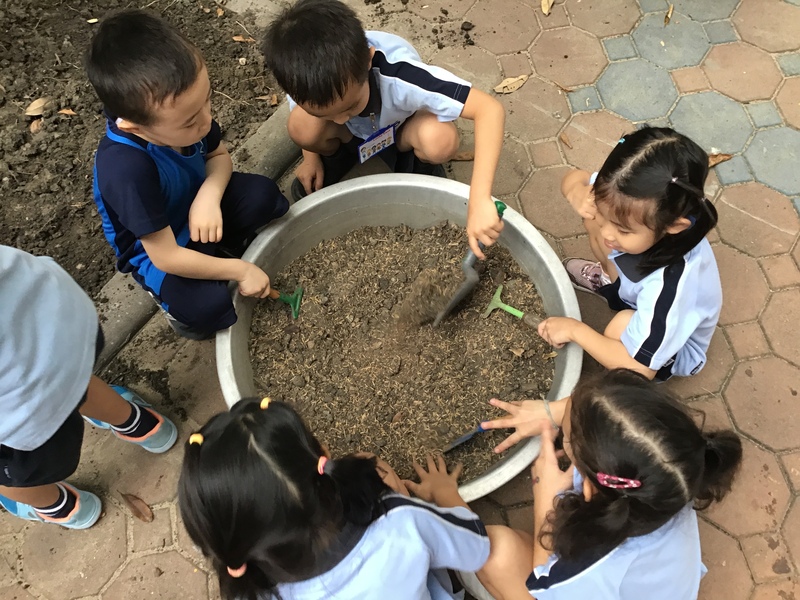 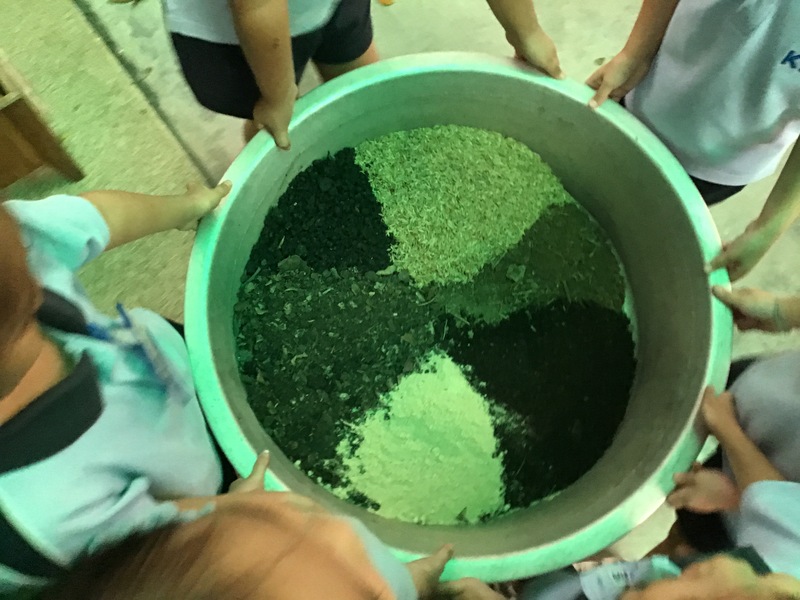 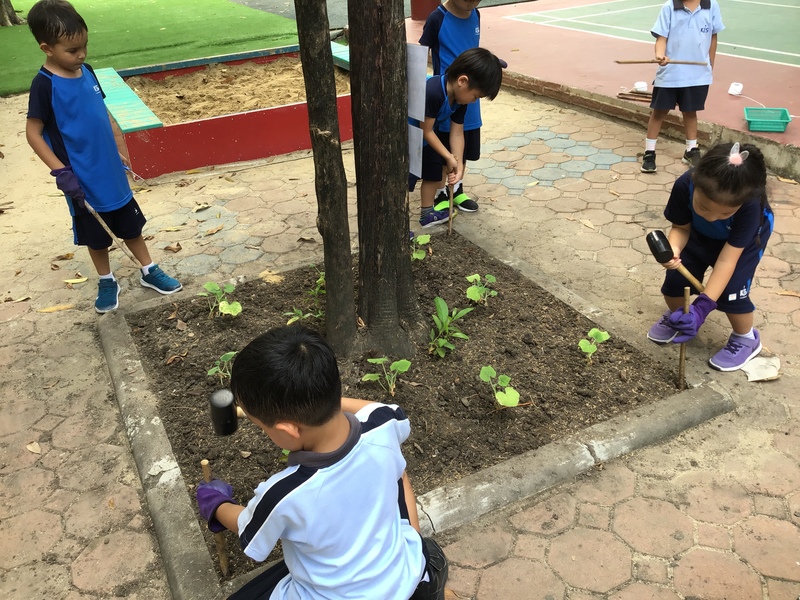 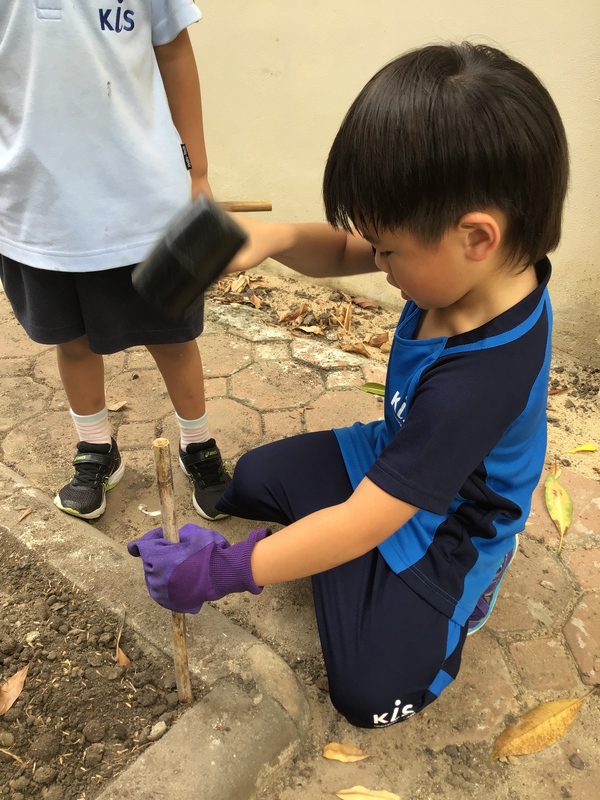 KG students have been busy tending to our class garden. 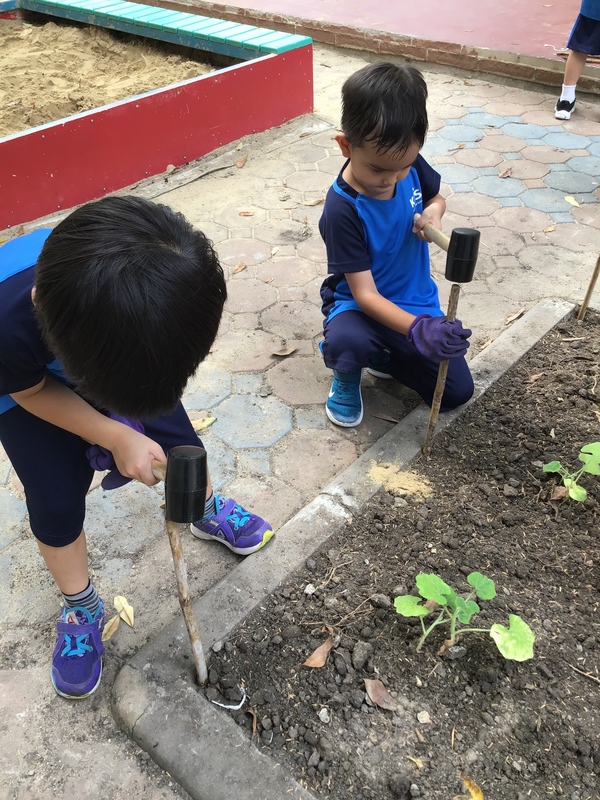 We have pumpkin and sunflower plants growing in the playground in addition to our collection of plants and crops in our class outdoor space. 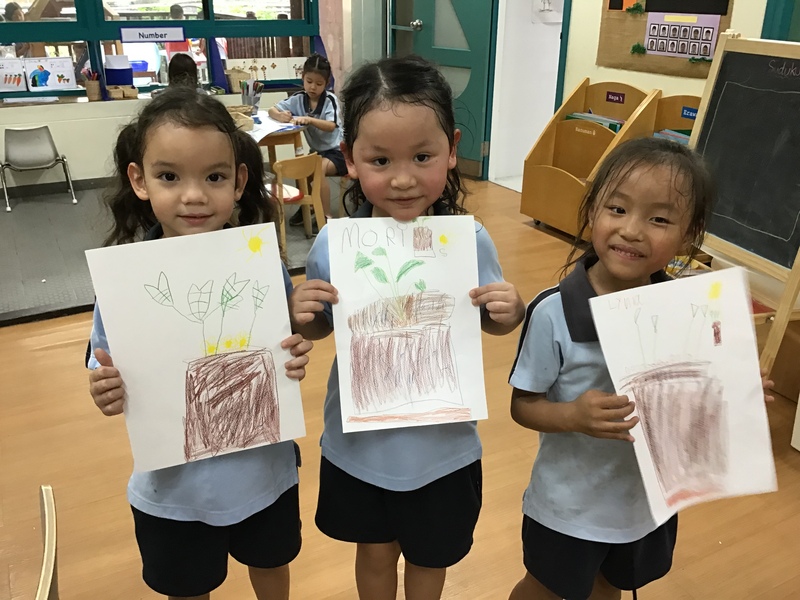 We have cucumber plants, tomato plants, mushrooms, sugar cane, cantaloupe sprouts and basil sprouts. 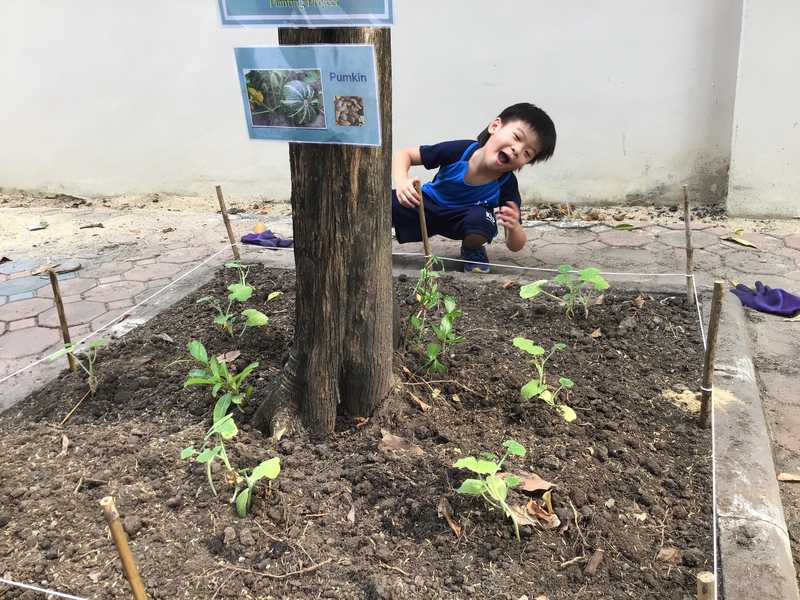 Some snails came by for a visit and ate our baby kale and bok choy. 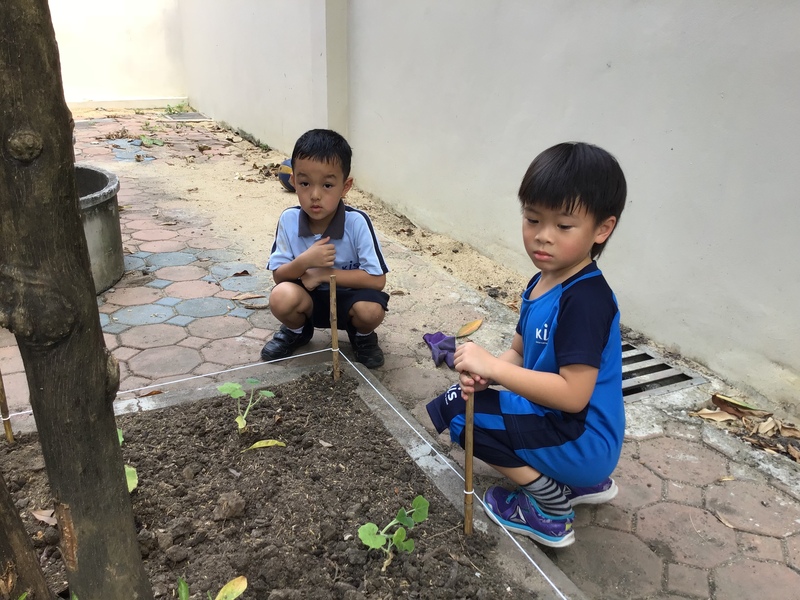 Hopefully they will survive the next round.